The UT Gardens’ selection for plant of month for May is the Emily Bruner Holly, or the Ilex x ‘Emily Bruner’ as it’s known botanically. The Emily Bruner is one of many hybrid hollies stemming from crosses of American, European and Asian cultivars, and it is truly a homegrown selection. The Emily Bruner Holly was patented by Tennessee nursery owner Don Shadow, a world recognized plantsman and horticulturist. Shadow came across this selection as a student at the University of Tennessee. He named his find after fellow Tennessean Emily Bruner possibly because of her influential status and publication Ask Emily about Gardening in East Tennessee: A Collection of Emily Bruner’s Horticulture Class Notes from 1970 to 1988. This large holly has been a fundamental plant of Tennessee landscapes for many years. Its durability in various climates, evergreen foliage and fall/winter red berry display makes it appealing for almost any design. The Emily Bruner grows 20 to 30 feet tall and 15 to 20 feet wide. It has a slow to moderate growth rate, making it desired for its lower maintenance. Its evergreen leaves are finely serrated around the entire circumference of the leaf. Leaf color is what I consider as glowing emerald, very glossy and vibrant. A healthy, groomed specimen can almost have an artificial look. Like most other hollies it can be pruned or maintained in several ways. Beginning early it can be staked and pruned to “standard” or “tree form”, revealing a lower portion of its trunk. It can be sheared, keeping a specific shape or height with foliage starting from ground level, or it can be left alone to grow its natural pyramidal growth habit. Emily Bruner thrives in full-sun to partial shade and is tolerant of a variety of soils. It is a female holly and the cultivar ‘James Swan’ is its male pollinator. For landscape use, it makes a great specimen or focal point plant in large lawn areas and is great for use as a privacy screen. It also can be a nice foundation plant for large-scale homes and buildings. Its colorful red berries provide good winter interest in the landscape and a good food source for birds. 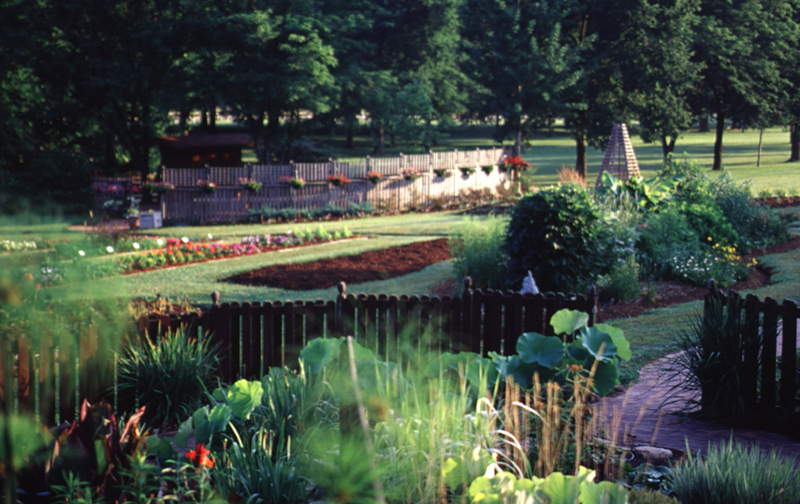 Emily Bruner is deer resistant which is appreciated greatly by gardeners in Tennessee. It is also heat, drought and disease resistant. It is hardy to Zones 7-9.